This hard top is one of the most eagerly awaited Fairlines to date. Specify the D6-400 Volvo engines and you will also have the fastest Fairline built to date. Even fully loaded it can easily push into the mid-40 knot range. 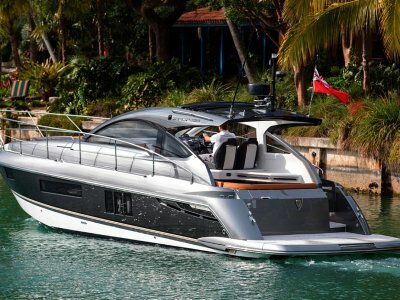 The Targa 38 OPEN offers the largest roof opening area for a boat of this size and a long overhang over the cockpit to offer maximum protection. We also extended the glazing to give greater all-round vision and further enhance the feeling of an express cruiser that's open to the world around it. 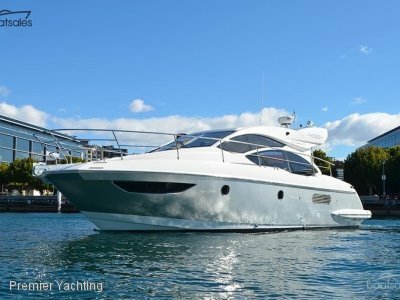 This big boat thinking also extends aft, where you can specify a submersible bathing platform for ultimate enjoyment of the water. There's ample accommodation for a large group of day-trippers and it sleeps up to 7 with ease. 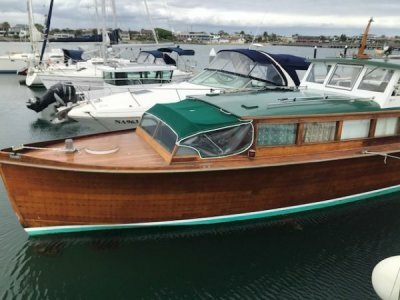 Below, the large forward cabin enjoys natural light from the twin portholes and deck hatch and the guest cabin defies the norm with generous headspace above its twin berths. Seemingly impossible on a boat this size, an optional sofa bed converts into a third berth. 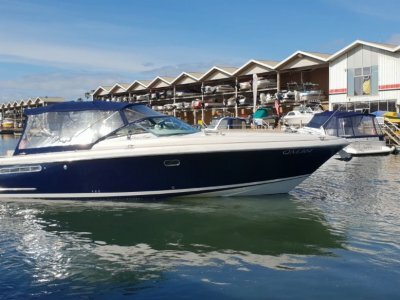 The Targa 38 benefits from a world renowned Bernard Olesinski designed hull with sparkling engine dynamics from the latest generation of Volvo outdrives. With four different engine options, ranging from the D4-260 to the unbelievably quick D6-400, you can be assured that a whole range of emotions are well and truly catered for.